As soon as we perched at the heavy wooden bar of Bristol’s Bravas we were transported to one of the countless tapas bars we love in Murcia, Seville and San Sebastian. It's the little things which give it a sense of authenticity; from the counter top refrigerator loaded with fresh salads to a wheel of tortilla ready to be sliced for the lunchtime crowd. 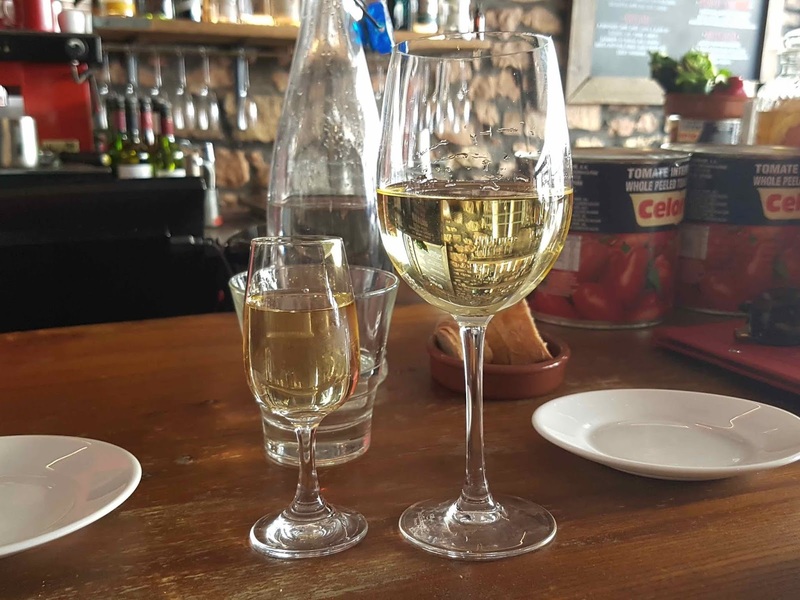 An ice cold glass of dry house manzanilla and a citrusy Albariño sealed the deal. 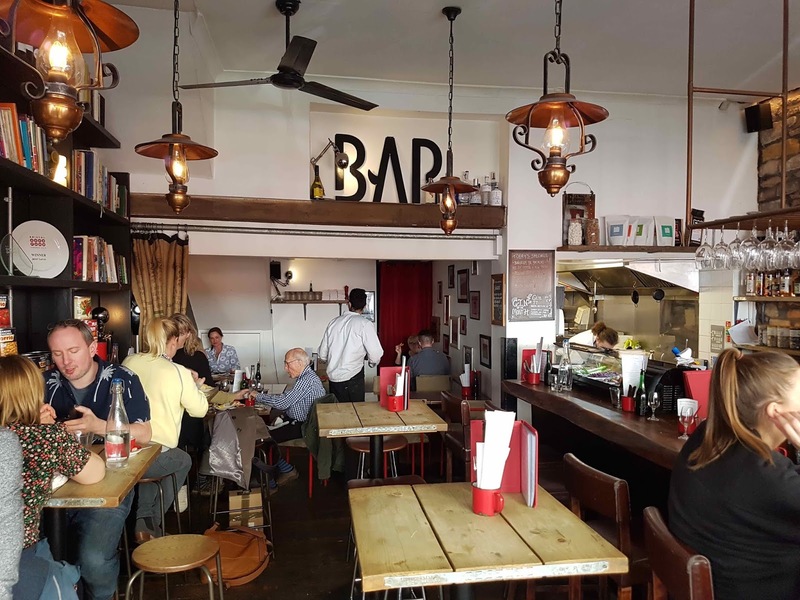 We worked our way through a hoard of the traditional tapas on offer at this Cotham Hill restaurant. But, there were so many I'd make a return visit across the Severn Bridge for. Jamón croquetas (£2.40 each) were perhaps the weakest dish, their innards having leaked out a little from their golden cocoons. What remained of the nutmeg spiced béchamel was packed with flavour and studded with salty nuggets of ham. 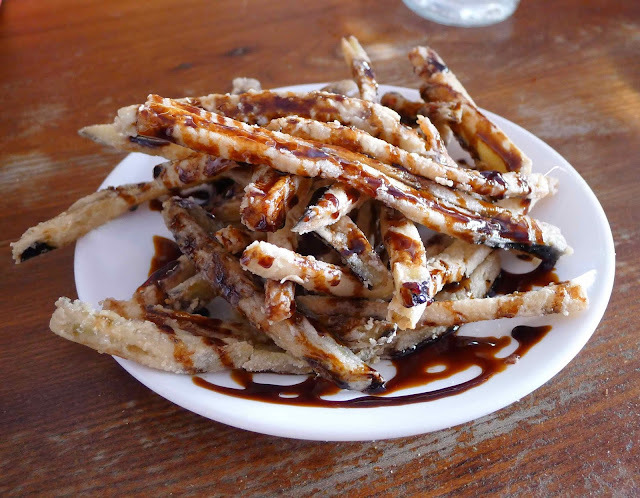 Once you've had Spanish style fried aubergines (£4.30) they'll be an essential order from that day on. The tender vegetable fingers were coated in the lightest of batters before being liberally drench with sticky, sweet and tangy molasses. 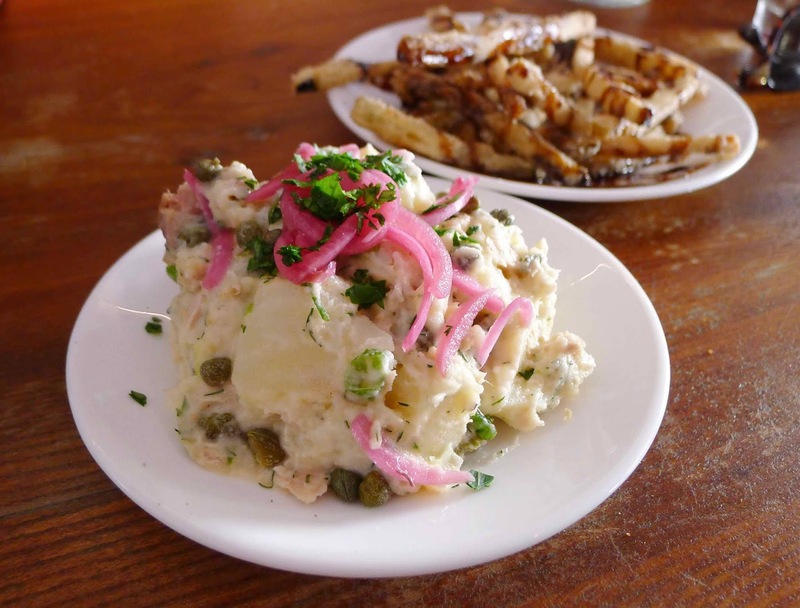 A potato salad (£4.60) flecked with meaty tuna and spiked with fragrant dill, punchy capers and pink pickled onions was a distinctly British take on the classic Russian salad tapa. 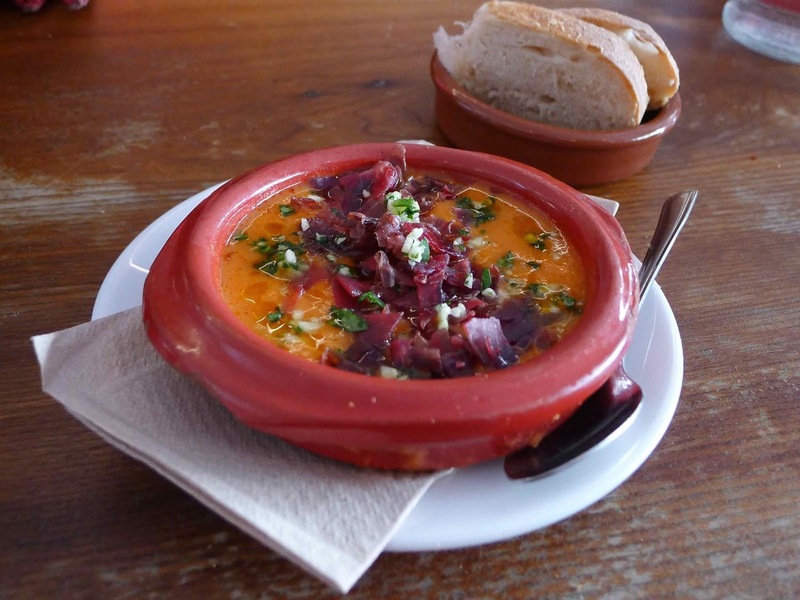 Cordoban salmorejo (£3.70) was one of our friendly server's favourite dishes and I can see why. A vibrant thick cold tomato soup with a good whallop of garlic was topped with a fine dice of salty cured beef. 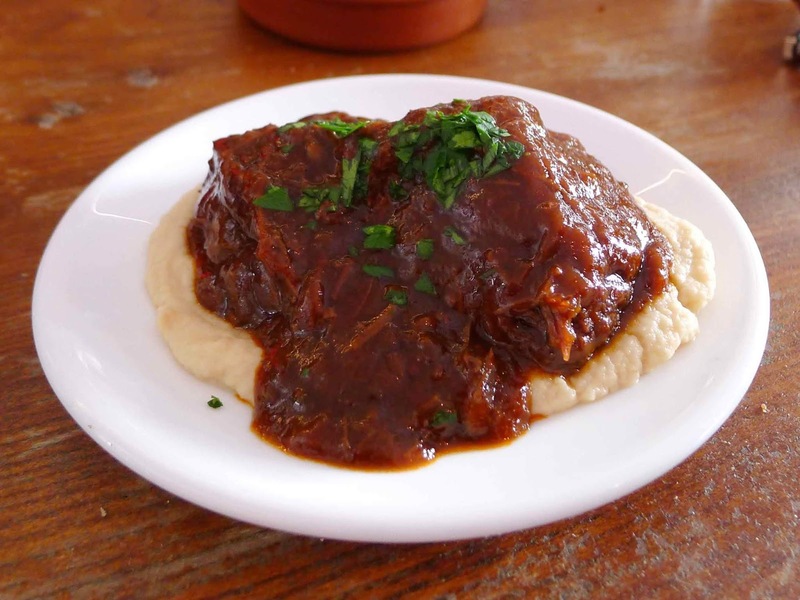 It's a bit of a giveaway as to how tender a pice of meat is when you only need a spoon to tease it apart. The ridiculously good slow cooked ox cheek (£8.20) was coated in a thick beefy and winey gravy and served atop aniseed-fragranced celeriac puree. 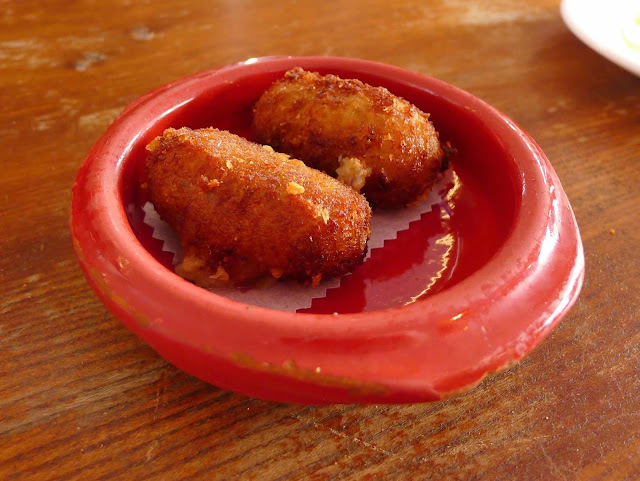 A final roll of the savoury dice saw a jackpot in the form of salt cod fritters (£6.70). 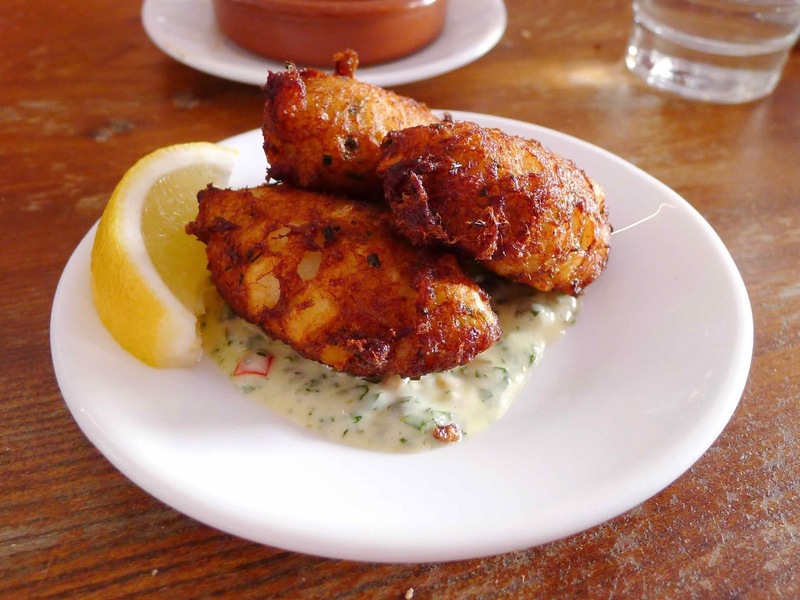 The golden exterior gave way to a light potato-based filling strewn with chunky pieces of tender fish. Textbook parsley and caper based tartare and a good squeeze of lemon brought balance to the plate. Dessert was completely unnecessary and one of the best value restaurant dishes I've had in a while. 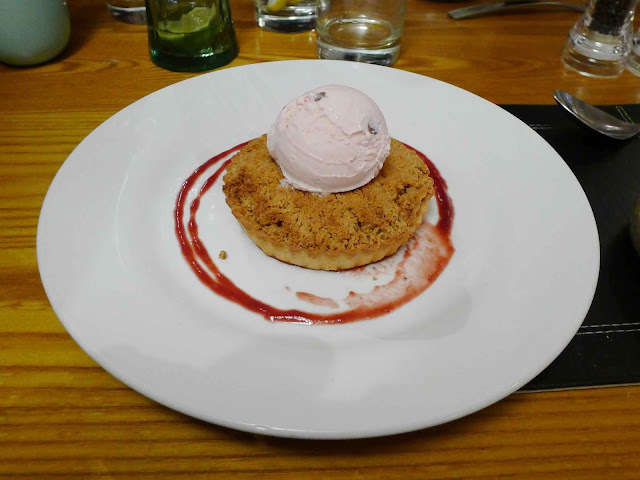 £15.90 bought us four out of the five desserts on the menu alongside any two glasses of dessert wine. 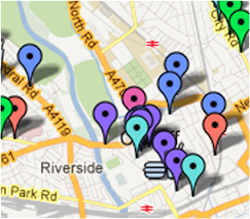 Whilst you’d perhaps expect this to result in taster size portions, they were anything but. 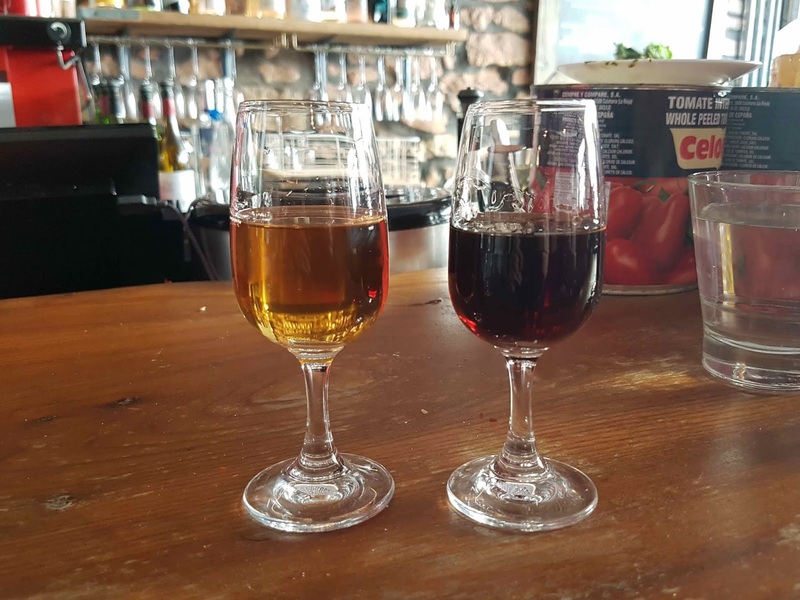 I guzzled an apricotty moscatel whilst Mrs G necked an intense and raisiny Pedro Ximénez. 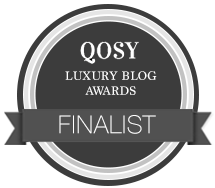 Moist and citrusy arbequina olive oil and lemon sponge was topped with a delicately fragranced and airy moscatel cream. 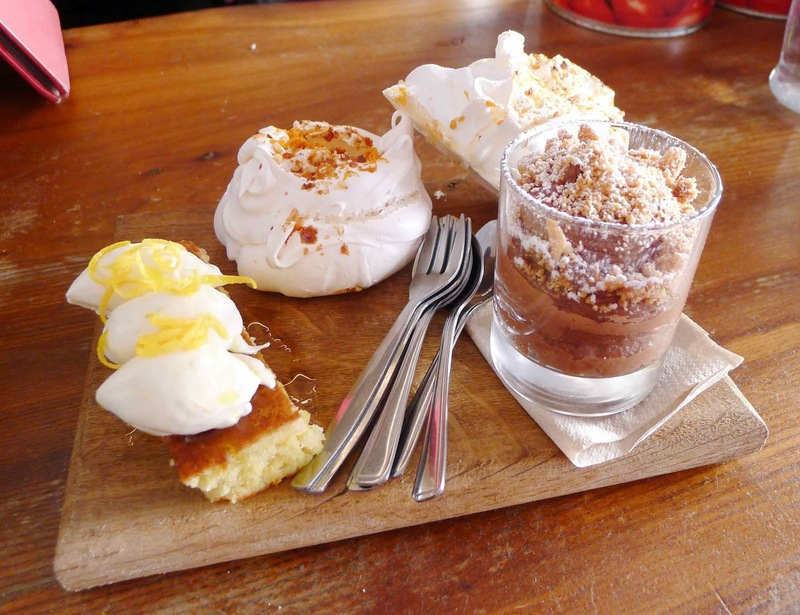 Rich, thick and smooth chocolate mousse was nicely twanged with orange and topped with the golden crunch of an almond crumb. 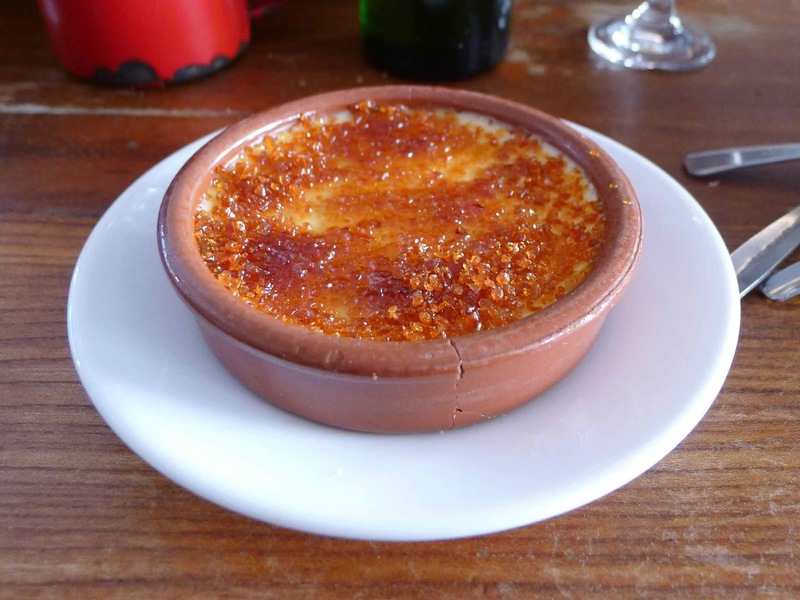 Smooth crema catalana was also delightfully citrus twanged but its burnt sugar top could have benefited from slightly more caramelising. 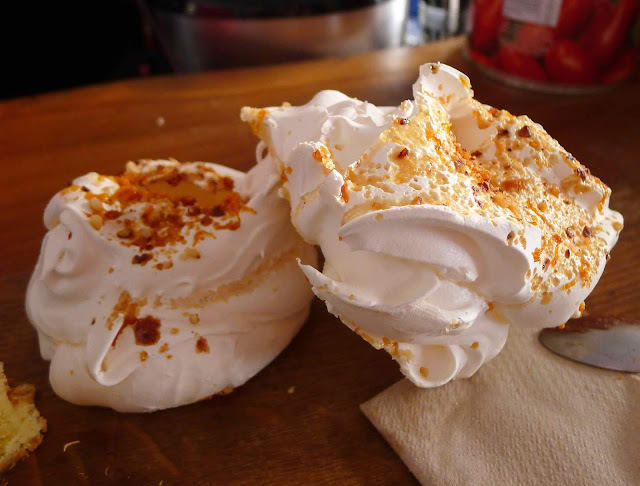 Finally, crisp and marshmallowey meringues topped with a Seville orange and crunchy hazelnut caramel were cunningly doggy-bagged and inhaled later that night. 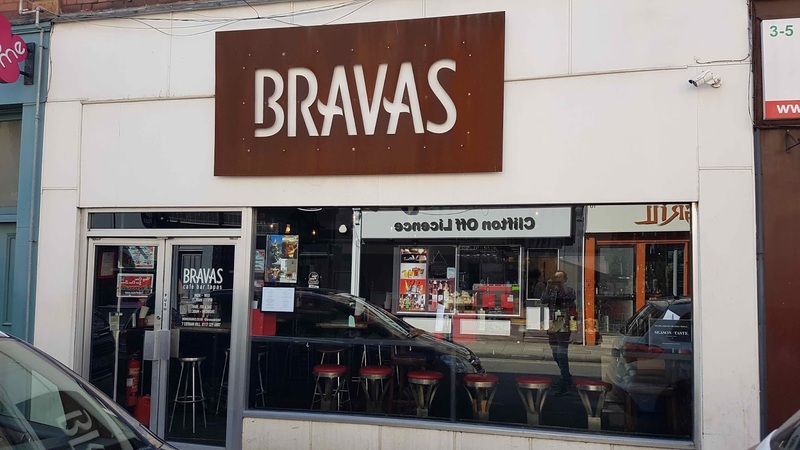 We had a lush lunch at Bravas. 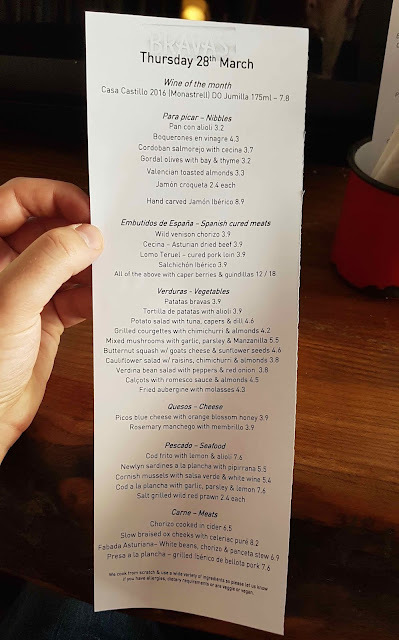 In a city as fiercely competitive as Bristol it takes a lot to flourish and these guys are smashing it with their traditional Spanish cooking. 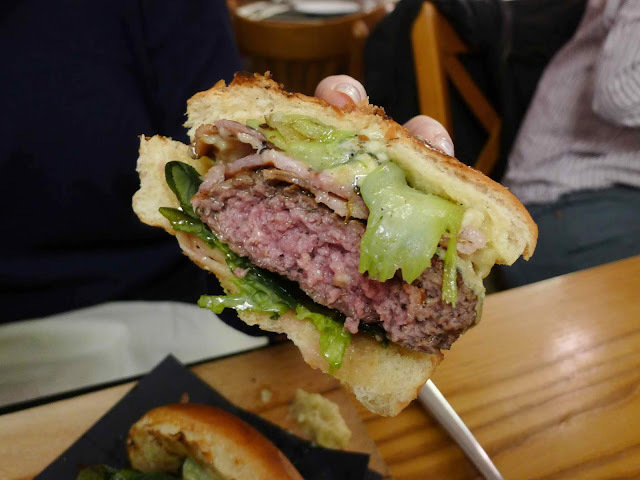 When you don't expect the finest (delete as appropriate) roast dinner / burger / spam fritter, it’s much easier to be impressed. However, when the bar is set high, you're a lot more likely to be disappointed. 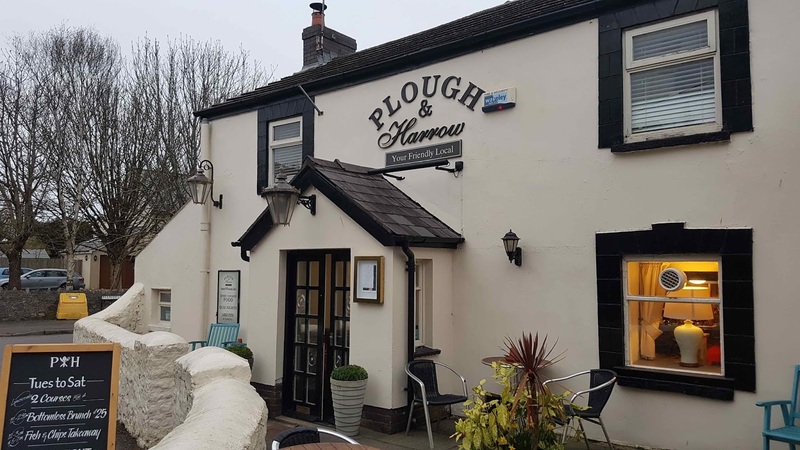 Located in the village of Murton (just a few miles from Swansea), the Plough and Harrow was named best gastropub in Wales 2018 in the Food Awards Wales and Tom Parker Bowles named it in his best 50 Sunday roasts in the UK in 2018. Two menus are available in the evening, a bar menu with high-end pub grub and an a la carte with more bistro style food. We went for the latter. The meal kicked off in very fine form. 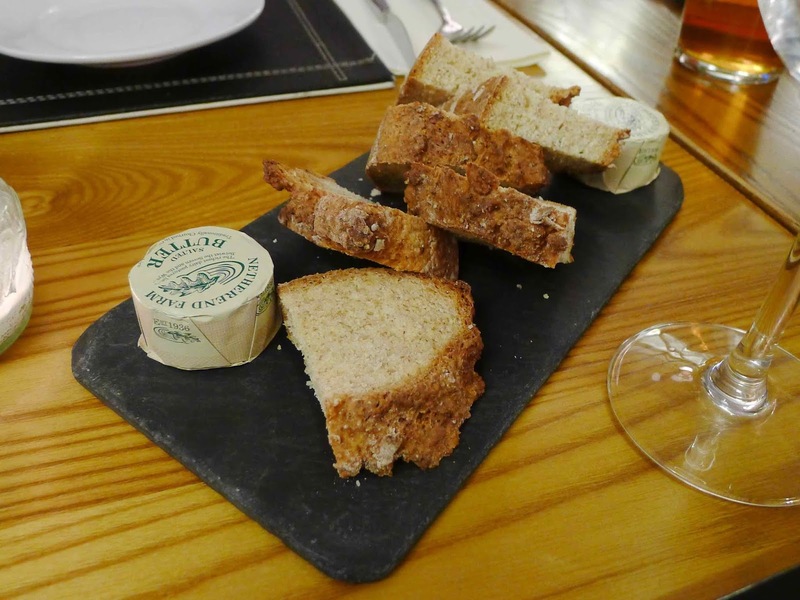 Thick tranches of warm and soft soda bread were accompanied by soft and salty Netherend Farm butter, pretty much the Rolls-Royce of the dairy world. 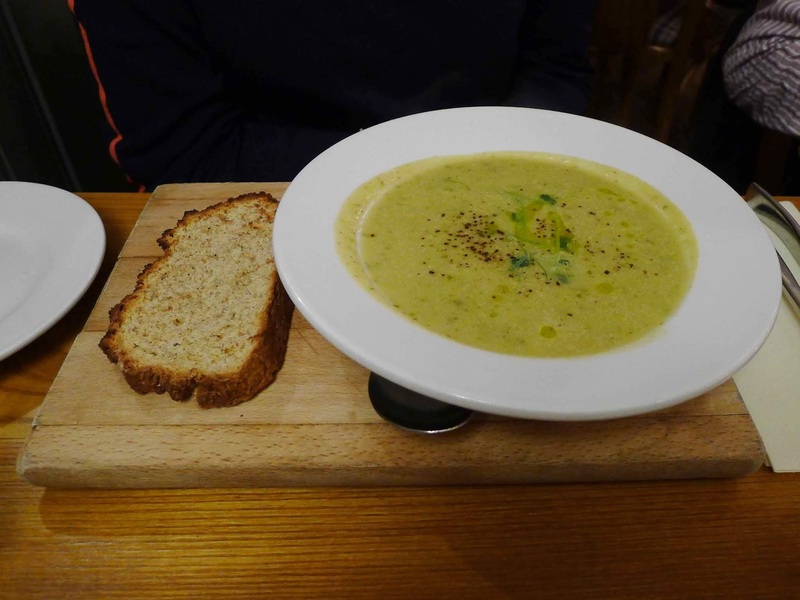 Soup of the day (£6.50), a mix of courgette, dill and fennel was well-seasoned, well-herbed and a little bit different to the norm. It was accompanied by more of that excellent soda bread. Tenby crab pate en croute (£8) was inexplicably lacking its pastry exterior, one of the key selling points of the dish. Instead, a smooth crab pate with a good hit of brown meat was served on a trio of croutons which could have been a fair bit crisper. Sweet pickled fennel slices provided a lovely acidic note but intensely flavoured grapefruit and pearls of pomegranate were two ingredients too many. 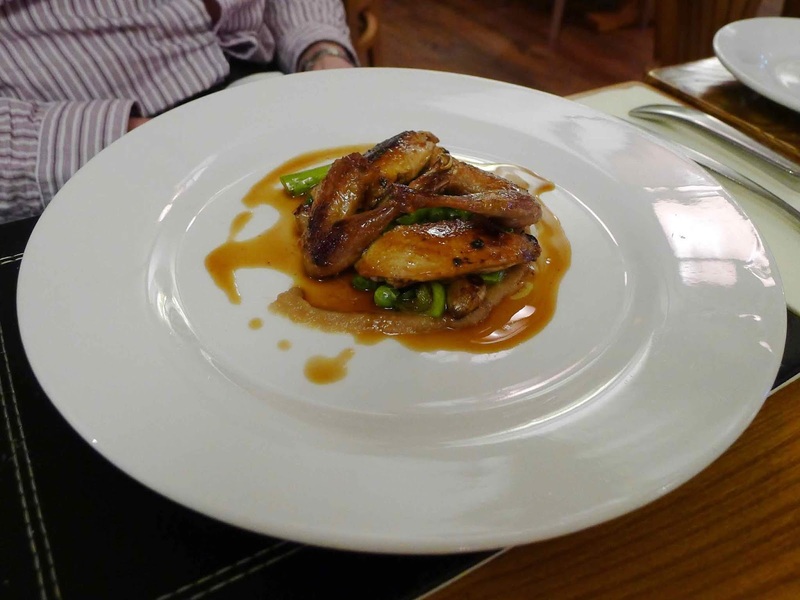 There was a big thumbs up from a friend for their whole Gressingham quail (£9). Crisp of skin and tender of flesh it was joined by a sweet white onion puree, glossy meat sauce and a nice mix of green vegetables. 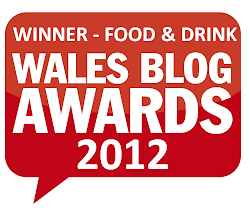 Onto mains and Mrs G loved her Welsh Wagyu burger (£16). 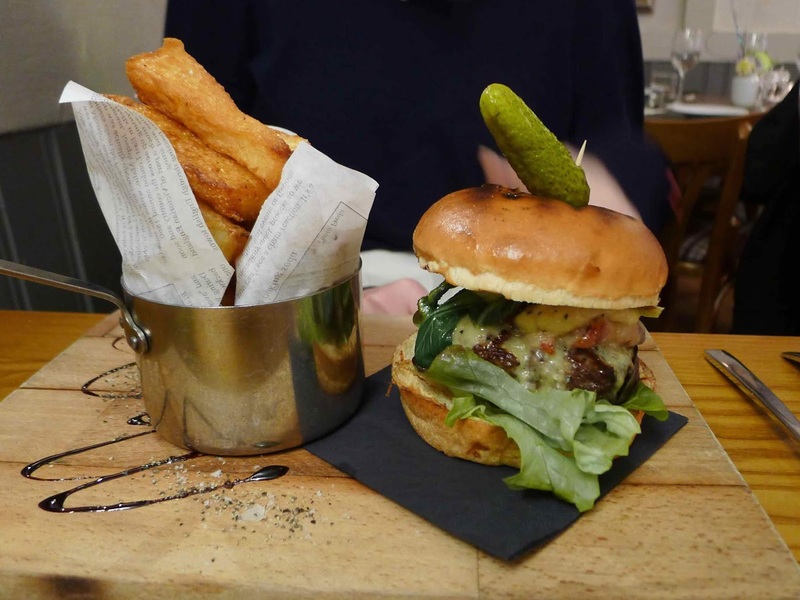 The medium-cooked, big-flavoured and juicy patty was served with thick cut smoky bacon, a punchy and oozy wasabi rarebit, wilted pak choi and a toasted brioche bun. Accompanying triple cooked chips didn’t have the extreme crispness I’d usually associate with this variety but they were still nicely golden and crisp. 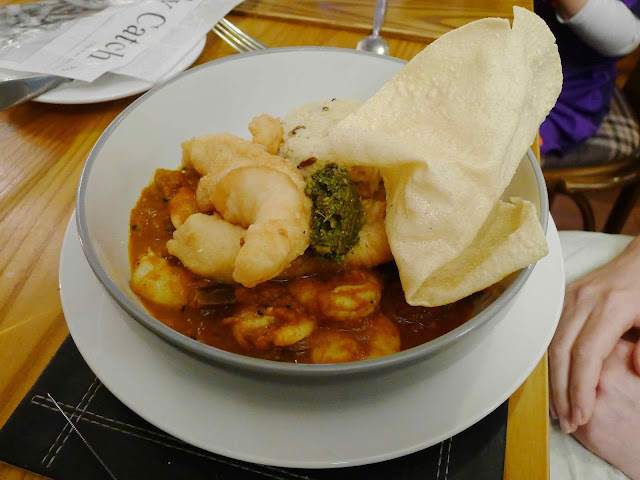 A friend enjoyed her mildly spiced Mauritian curry (£18) loaded with sweet prawns and served with wild rice and a punchy and aromatic coriander chutney. But a pair of generous fillets of monkfish, whilst tasty, were deep fried rather than cooked in a more delicate manner. The third main was a letdown. Overnight pork belly (£18) was essentially a pleasant roast dinner. 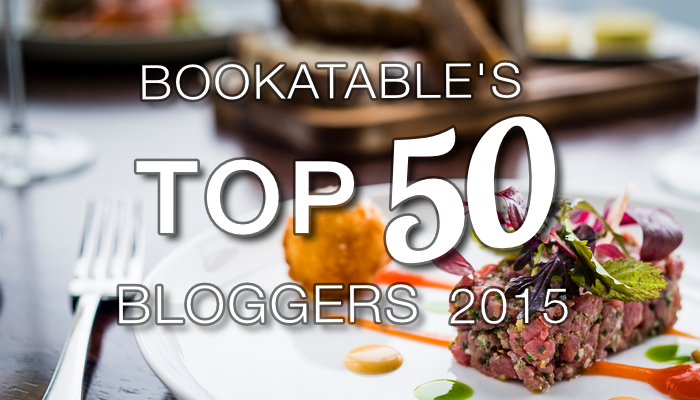 A pair of slices of tender pork were light on meat and consisted mostly of a nicely seasoned stuffing made from white pudding and rhubarb (although the fruit was barely perceptible). 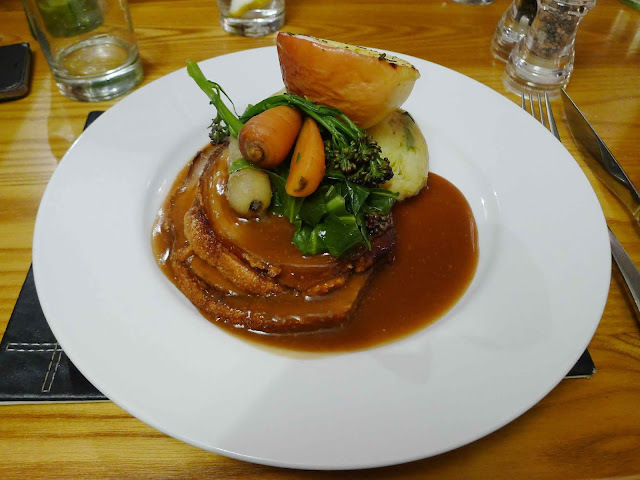 Crackling was lacking apart from in a couple of small places and the other accompaniments were okay - leek and bacon hash was more like a robust, coarse mashed potato whilst a whopping baked apple was still quite firm. 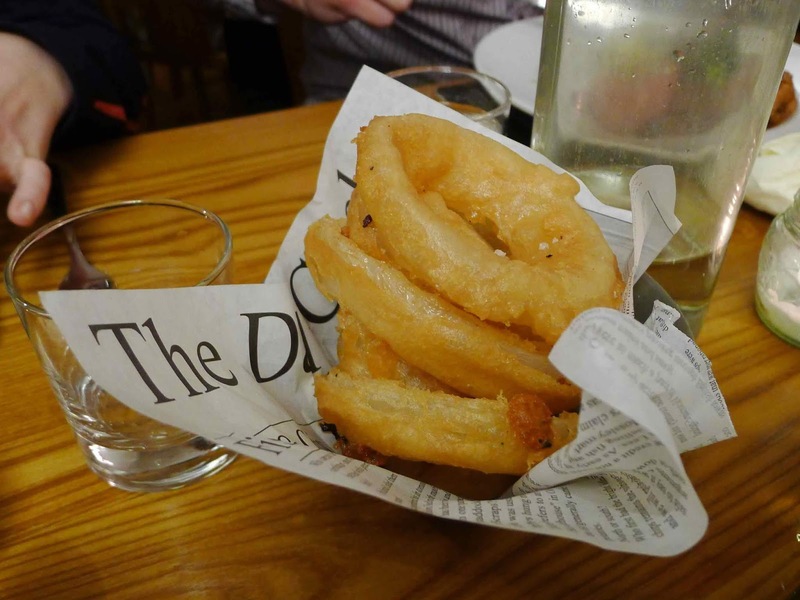 A tower of beer battered onion rings (£3.50) were golden and crisp with a soft sweet interior. 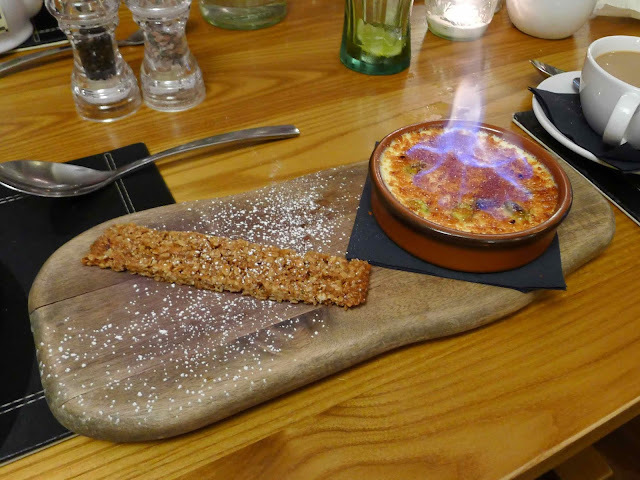 A thick and creamy creme brûlée (£7) studded with pistachios impressively arrived at the table mid-brûlée. It was joined by a tasty slice of almond flapjack. A crisp tart (£7) loaded with fragrant and tangy rhubarb was topped with a golden crumble spiced with cardamon and joined by a thick and creamy scoop of Turkish Delight ice cream. The spicing of this dish divided opinion - I felt the intense fragrance of cardamom and rose water detracted from the first rate fruit. Others thought it worked well. 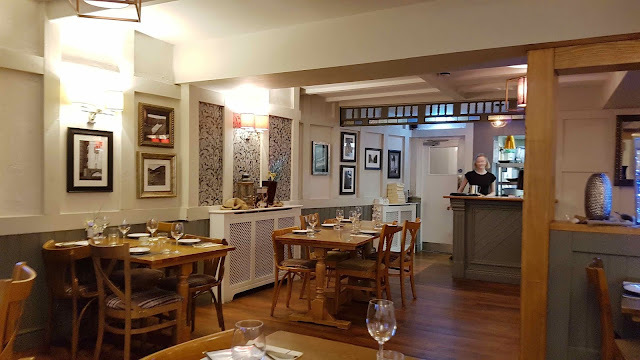 Overall, we had a mixed dinner at the Plough and Harrow. 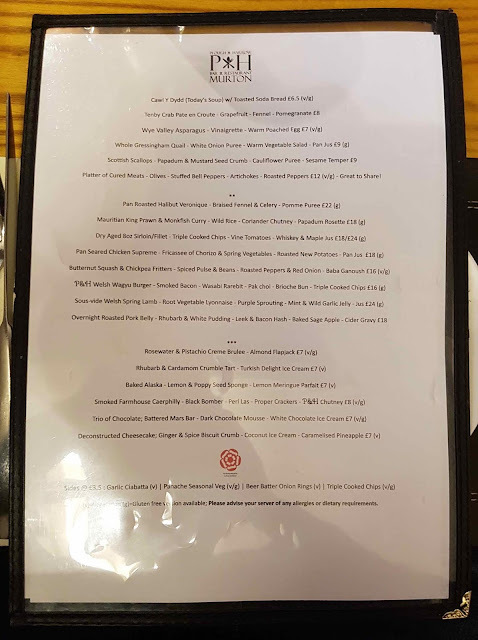 Whilst most of the food was lovely (and Mrs G had a delicious meal), I was a bit disappointed by my choices.